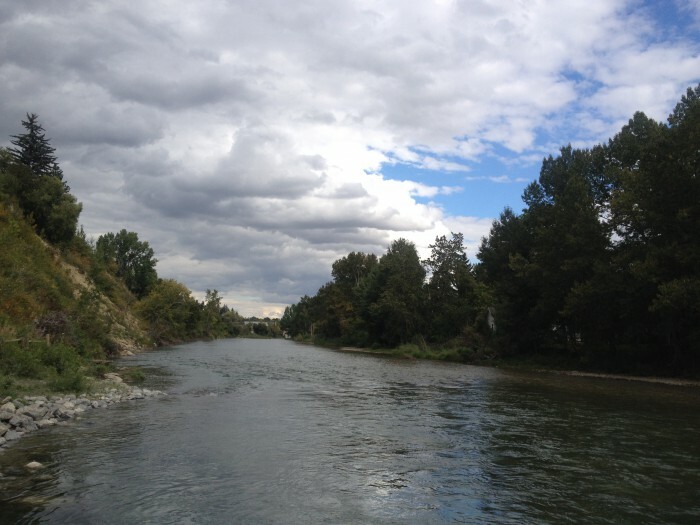 River Park, northwest Calgary, on Elbow River. September 2014. 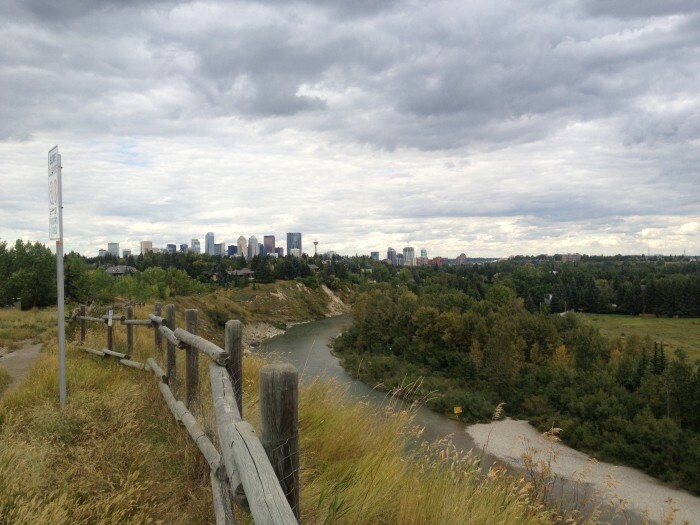 River Park was the first green space I visited when I moved to Calgary. I haven’t gotten around to posting the pictures until now. I find it interesting to look back at the pictures now; the trees are all green and they are as they were before the “Snowtember tree massacre”. 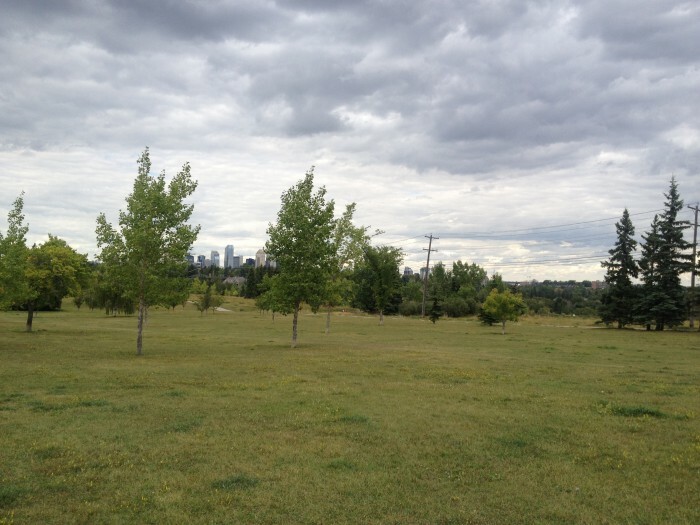 The park is mostly lawn, with a few trees, and is about a kilometre long, nestled between the Bow River and 14A Street SW. 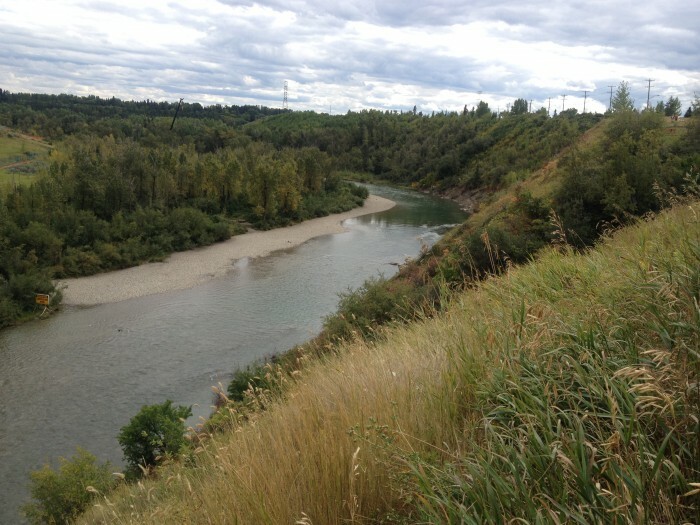 It was my first Calgary bluff path (there are many bluff paths in Calgary) and my first experience standing at the edge of the Bow River and watching the interplay of sunlight and flowing water. 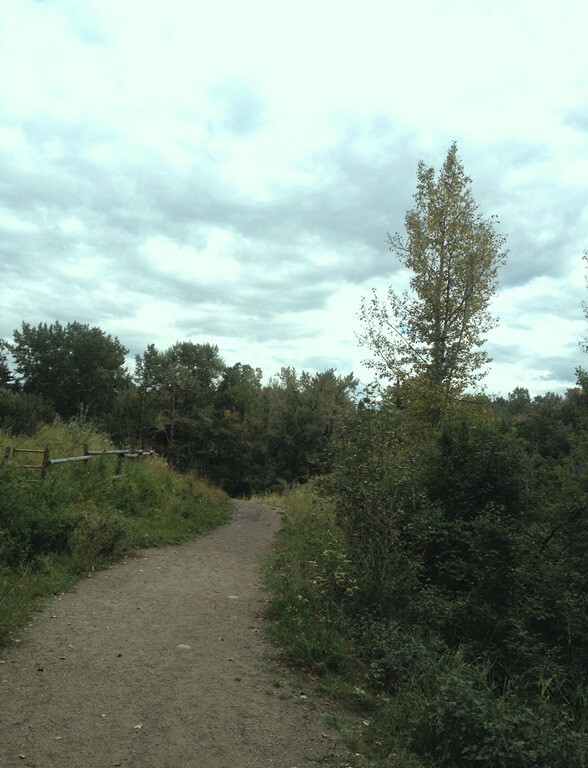 I entered the park at 38th Avenue and 15th Street SW. Ahhh… green stuff. Grass and dirt under my shoes :-). 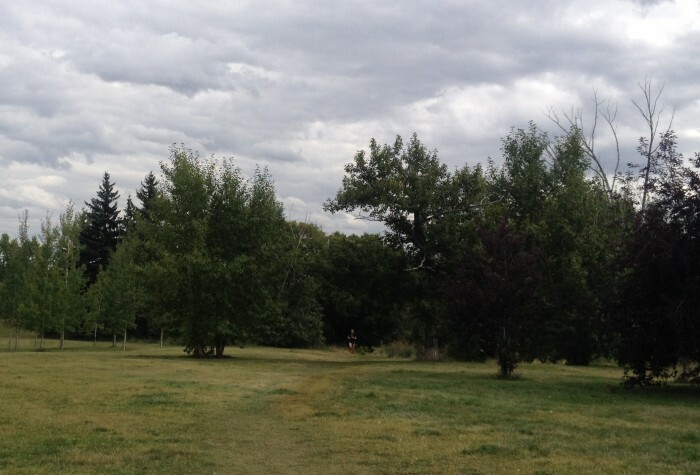 A running woman appeared on the trail as I took the picture. 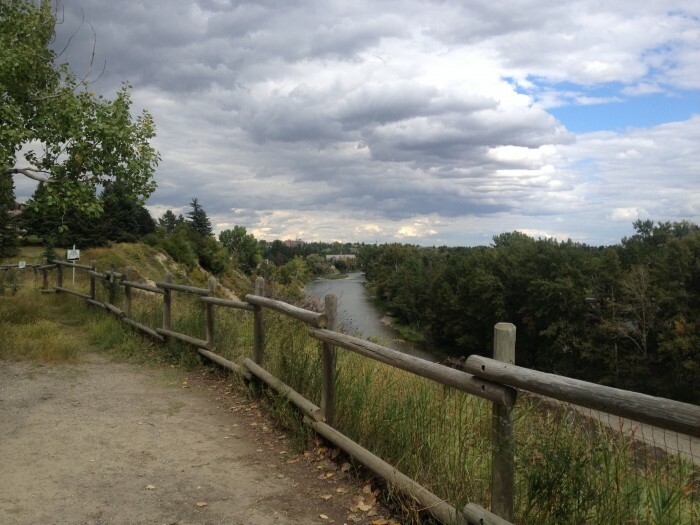 And I kept walking toward the river. 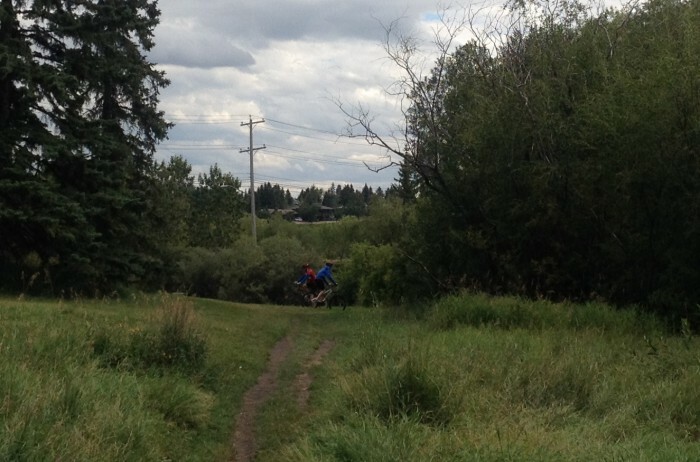 Two mountain bikers just happened to cross the path. Looking west to where I came from. At the river’s edge looking north. At the river’s edge looking south. 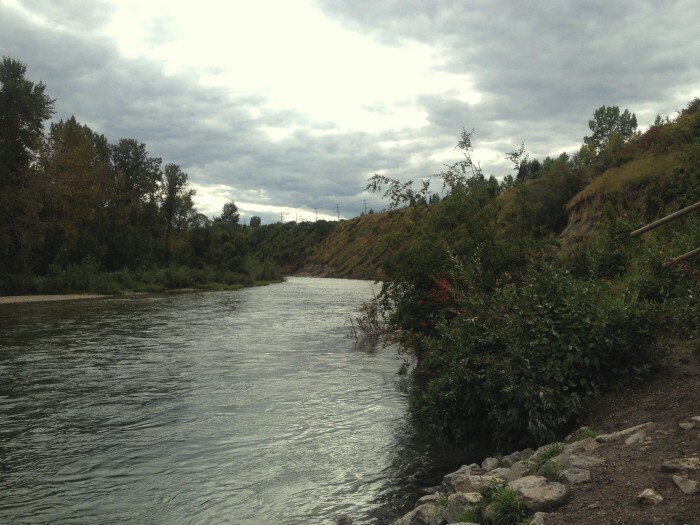 There is no path that follows the river’s edge. 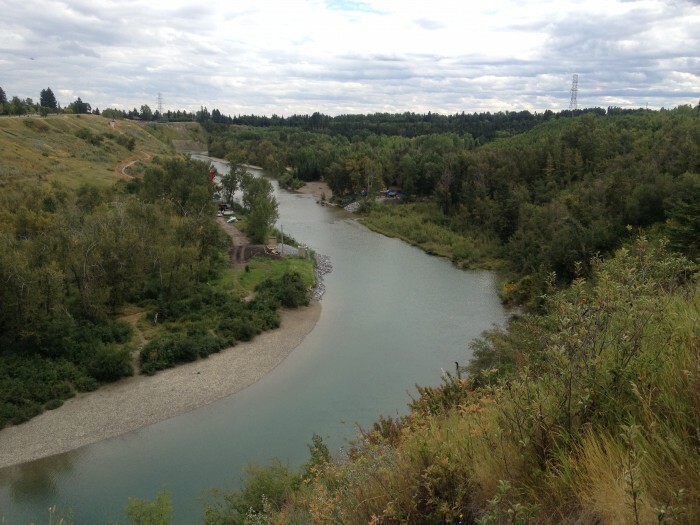 I walked to the trail at the top of the bluff and headed south. On bluff trail, looking north. On bluff trail, looking south. 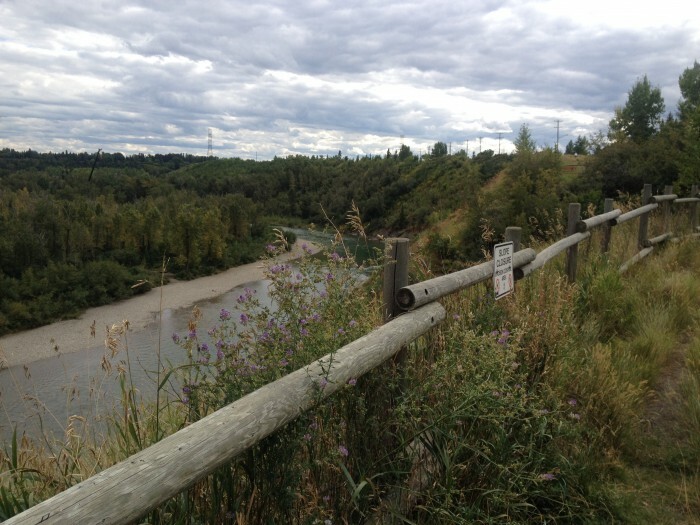 On bluff trail, a little further south, south and north views. 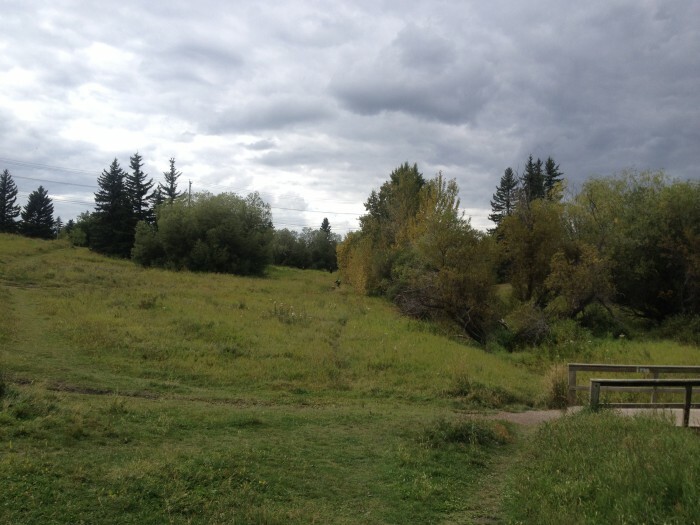 Grassy area between bluff trail and 14A Street. Wow! I can’t believe there are no dogs in my pictures. This park is very popular with dog owners. The perks of visiting parks on week days between 9am and 4pm! 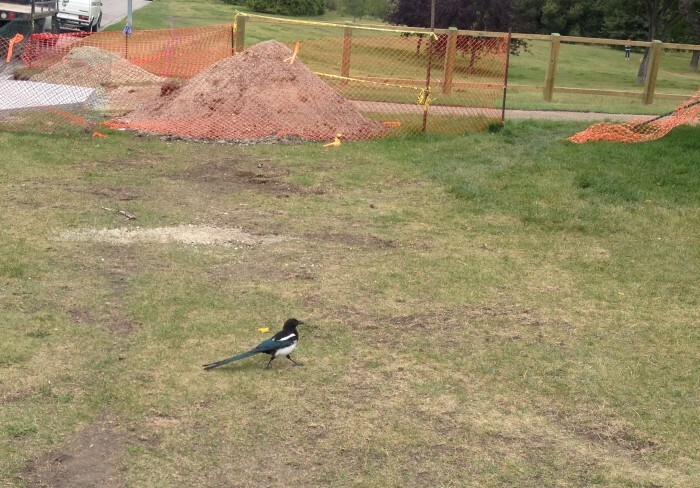 I did stalk a magpie and get a decent picture.